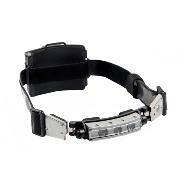 Intrinsically Safe LED Headlamp. 4 AA Batteries. 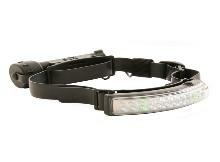 24 Bright white LEDs mounted on a swivel headband/Headlamp. Focused Distance and Peripheral vision. (high and low) and runs on 4 AA batteries. to help be seen in the field. Fits most hard hats and fire helmets. Meets NFPA Fire Resistant Requirements.